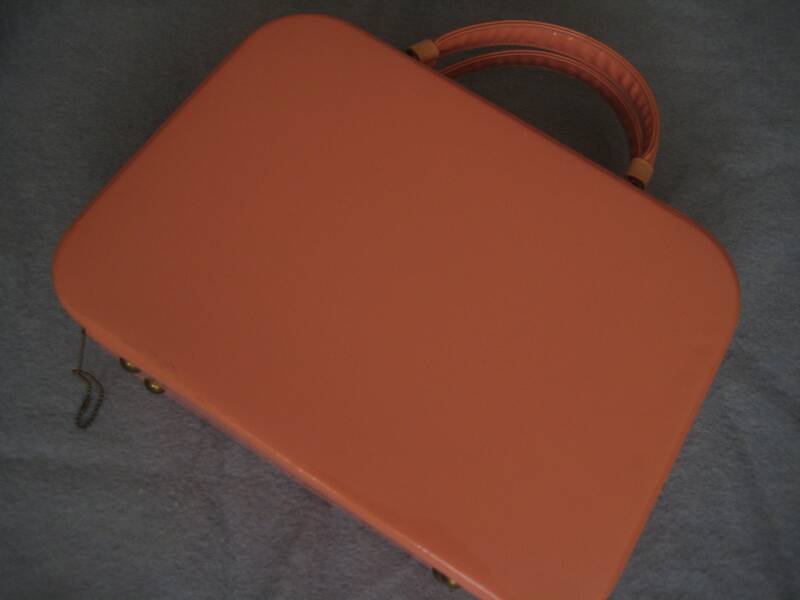 Very cool vintage SEBA handbag tote. 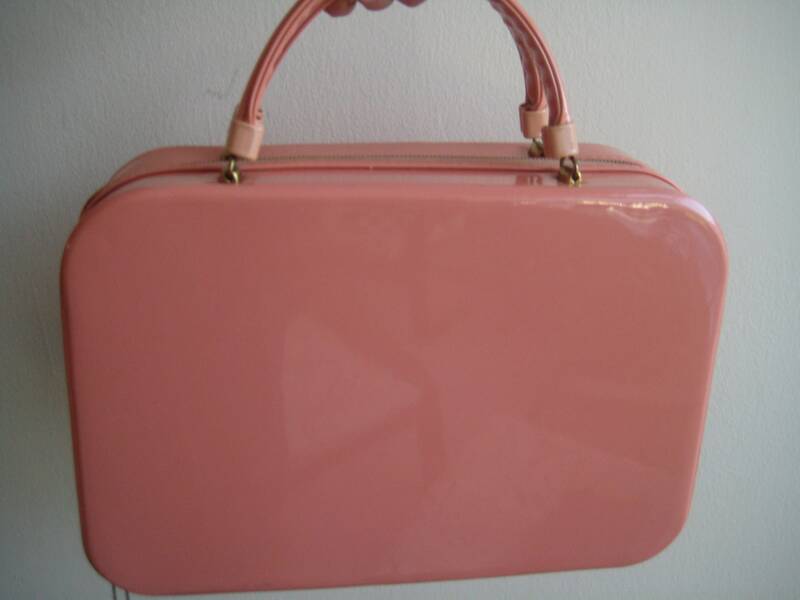 Similar to the Pop & Suki box bags that are very popular in Hollywood! 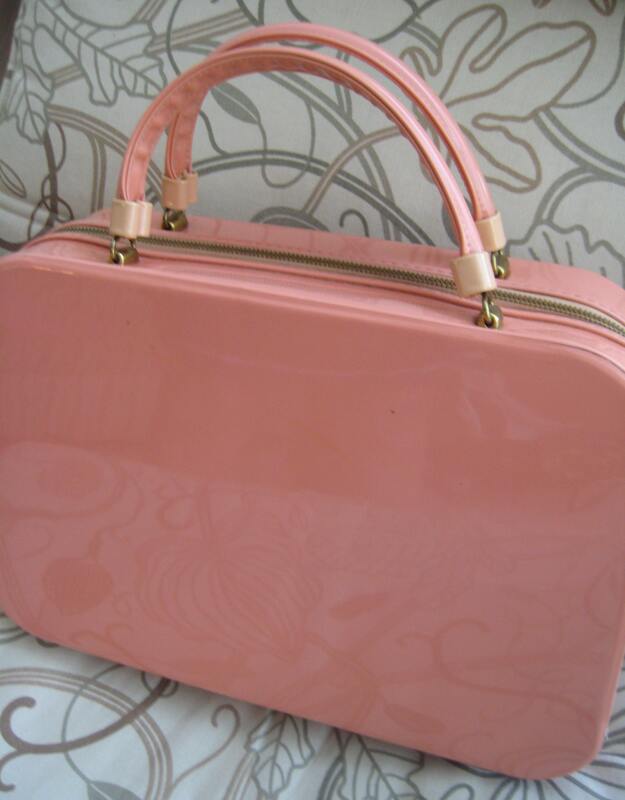 The body is of a faux patent leather in a pink to salmon color. 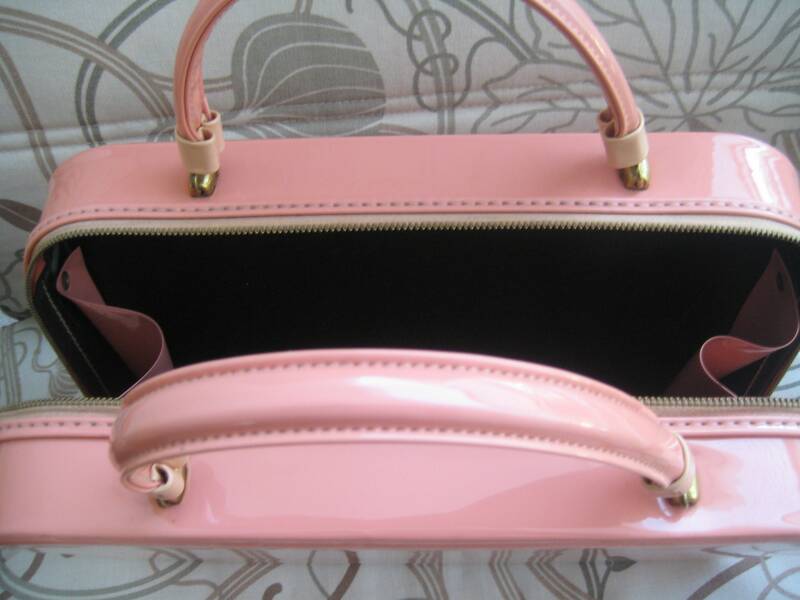 Big enough to carry regular size papers as an eye-catching brief case. 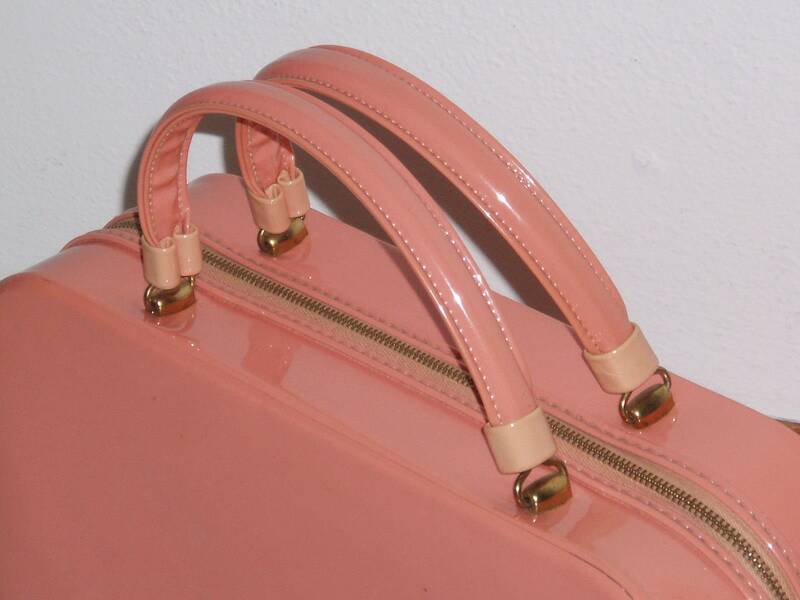 Two tone color on handles that feature a very pale peach accent closest to the metal ring attachments. Original metal brass grommet footings. 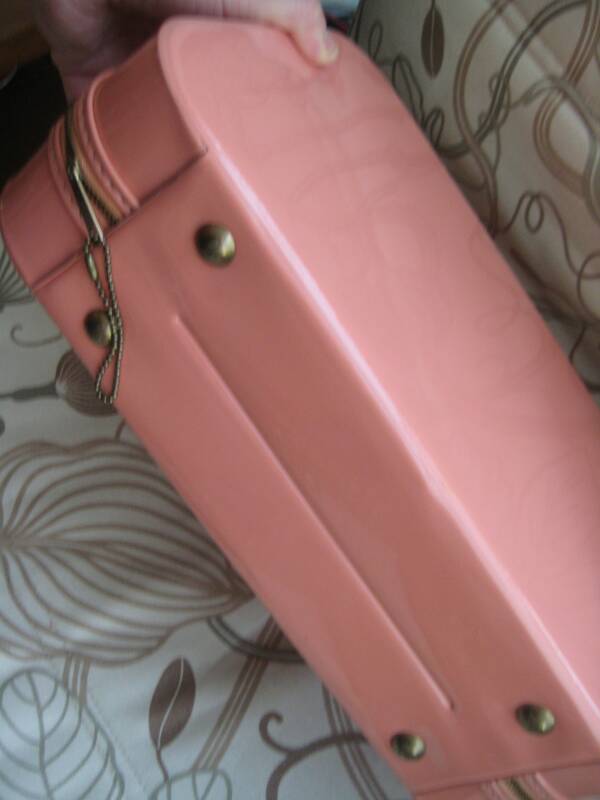 Brass zipper closure that goes all the way around the tote. 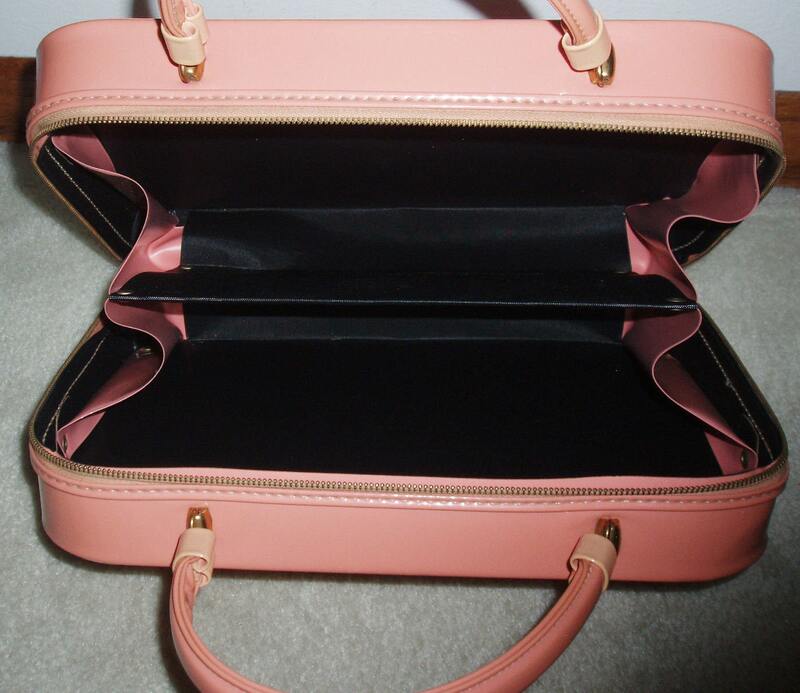 Interior has a black interior with a divider for two compartments. The zipper tag reads "SEBA." Dimensions: 13.5 inches long x 9.5 inches tall and 4 inches wide along the bottom.